The owner of Orion Engineering, who is also the company secretary of the Armada Floating Gas Services company which operates the LNG tanker, has denied accusations that his company was involved in kickbacks paid to a Dubai company destined to Keith Schembri and Konrad Mizzi. Mario Pullicino said he categorically denied having paid any commissions to third parties in connection with the chartering and operation of the LNG tanker, and that his company had no legal relationship with any politically exposed person. The denial concerns excerpts of an alleged report by the Financial Intelligence Analysis Unit – published by The Malta Independent – which suggest that two Dubai companies could have been the “target clients” of the two Panamanian companies set up by Keith Schembri and Konrad Mizzi. According to the excerpts, part of a 120-page report which the FIAU itself has said is unfinished and whose conclusions are not what has so far been reported, the Dubai companies 17 Black and Macbridge were described as target clients of Tillgate Inc. and Hearnille Inc – the offshore companies that Nexia partner Karl Cini set up for the Prime Minister’s chief of staff and former energy minister. It is unclear who set up these companies in the first place, but a transaction was expected to take place between Orion Engineering Group to 17 Black. 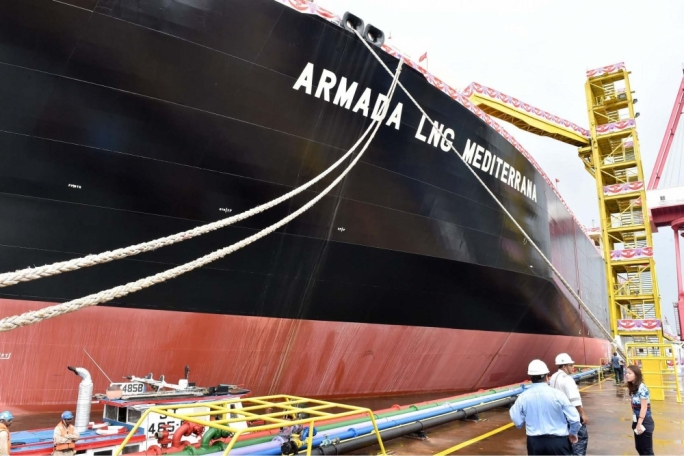 Orion Engineering’s owner Mario Pullicino is the company secretary of Armada Floating Gas Services Limited, one of three companies set up in Malta by the owners of the LNG tanker moored at Delimara. Two transactions were said to have been attempted on 10th July 2015 and finally, a successful one on 23rd July 2015. Both Mizzi and Schembri insisted that none of their companies ever traded or set up a bank account, but emails in the Panama Papers show that Nexia BT was searching for several international banks to open an account for their offshore set-ups. Armada Floating Gas Services provides the LNG tanker subcontracted by the ElectroGas consortium, which built Malta’s 200MW gas plant.